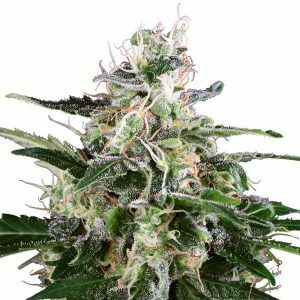 Fast Buds’ labs have expertly used their 10 years of experience to meticulously hunt down the best phenos to create their latest and most fruit flavorsome strain, Smoothie Auto. Flavor chasers, treat your senses to the fruitiest sensimilla puree on the market. A gourmet blend of Blueberry and Somango, this Indica dominant strain will pleasantly surprise you with her juicy terps. Firm lime green fluorescent buds will captivate cannabis connoisseurs. Like a moth you’ll be drawn to this fire marijuana. Smooth and balanced between heady euphoria and relaxing physical effects. Ideal daytime stash and a very social smoke to take to the weekend session. Smoothie Auto is suited for small and large spaces alike due to its indica structure and trainability. A great candidate for SOG method as well. Microgrowers take note this strain is a very tasty option. Similarly, for outdoor growers or even balcony growers, who must be stealthy, will find her to be a productive solution.